Janet Ivey, creator of Janet’s Planet is committed to enriching the lives of chil- dren via education and live performances ,TV, and online programming. 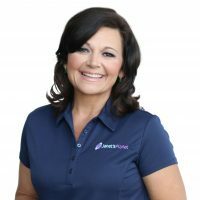 With over 25 years in the children’s entertainment and education, Janet has captivated Nashville and beyond with her work. She has received 12 Regional Emmys, five Gracie Allen Awards, for her children’s series Janet’s Planet that airs on 140+ public television stations nationwide. Janet is a Buzz Aldrin ShareScience Am- bassador, a NASA JPL Solar System Ambassador, President Elect of the Ex- plore Mars Foundation and has won a STEM-FLORIDA Award for the “Explor- ing Microgravity,” educational video about gravity and microgravity, she wrote and produced for Space Florida. This dynamic and fast-paced series is geared to 5-10 year olds and focuses on science, space, history and health. The short form series can be seen on public television stations nationwide as well YouTube, Bat- teryPop, Club Jelly Telly and HighBrow in the UK. Janet is committed to sharing the joy of exploration and discovery with children around the globe. Janet grew up in Covington, TN, a little town 45 minutes north of Memphis, TN, birthplace of Isaac Hayes and the Charms Blow Pop. She played astronaut on the playground, watched Star Trek and loved going to her friend Carol’s house be- cause she had walkie-talkies that made playing astronaut and Star Trek even more fun. Janet credits her fifth grade teacher, Ms. Ernestine Yarborough for inspiring her love of the solar system. Ms. Yarborough hosted a star party in the fall of 1977 where Janet had the chance to look through a telescope for the first time. Wit- nessing a strong and beautiful female role model know so much about stars and planets and began a life long love affair with the cosmos. Part artist, part scientist Janet believes that ART and SCIENCE deserve to be taught side by side in concert with one another. Janet earned her Bachelor’s in Music and Theatre from Belmont University, and is working on her credits for a Master in STEAM education. Ringing in 2019 like it’s MU69, the official name of the most distant Kuiper Belt Object ever explored by a spacecraft, Janet was made an honorary New Horizons team member and handled all the hands on activities at John Hopkins Applied Physics Laboratory during the historic NASA’s New Horizons flyby of Ultima Thule. She also appeared on NASA TV during New Year’s Eve, touting the won- ders of our wild and wonderful solar system. Alongside Janet’s science pursuits is her acting career and 2018 brought the movie The Least of These to TV and Amazon Prime, a Christmas movie where Janet plays the wife of the town’s Santa Claus. She also plays the hard line mother in a video for Country Artist Brandon Stansell’s CMT music video, “Hometown,” named one of the top 10 music videos of 2018. In December 2017 Janet was on Capitol Hill for the Explore Mars Foundation en- couraging lawmakers about the aspiration, inspiration and ultimate innovation that comes with a Mandated Mission to Mars. On the panel with Janet was Joe Cassady from Aerojet Rocketdyne Ellen Stofan, former Chief Scientist for NASA – National Aeronautics and Space Administration and Jeff Bingham former Senior Senate Staffer. And October 2017, Janet was named an advisory board member to the Lifeboat Foundation. The Lifeboat Foundation is a world-class think tank with a rich cogni- tive diversity of philosophers, economists, biologists, nanotechnologists, AI re- searchers, educators, policy experts, engineers, lawyers, ethicists, futurists, neuro- scientists, physicists, space experts, and other top thinkers to encourage scientific advancements. Janet served as the Eclipse Expert and Consultant for the Adventure Science Cen- ter, the City of Newberry, SC, and News 2, the Nashville ABC affiliate leading up to the Great American Eclipse on August 21, 2017. Among her duties were to gar- ner vendors, alert city leaders of areas subject to cause traffic, health and other emergenices, garner NASA and other Space Luminaries and Dignitaries to speak, attend and be VIP’s in Nashville and Newberry and to educate the public in Eclipse Safety and Eclipse Science. On November 5th 2016, Janet was awarded the Inaugural “Permission to Dream” Award from Rick Tumlinson’s New World’s Institute for her commitment to STEAM education and global space and science outreach. Janet’s Planet created the #DearPluto project and garnered international at- tention and amazing letters from around the world. Janet presents two live shows in performing art centers, “Tour of the Solar Sys- tem” and “Exploring Microgravity.” These shows are 21st century theatre that encourage scientific literacy via the use of humor, theatrical antics, visual illu- sions, enticing graphic elements, and experiential opportunities to join Janet on stage. On May 26, 2016, Janet Ivey was announced the runner up for the Woman of the Year for the Leukemia and Lymphoma Society. She worked tirelessly to help raise money for this most worthy charity. Janet’s 2014 TEDx Talk “AWE (Art, Wonder, and Experience) Inspired Science can be seen here: https://www.youtube.com/watch?v=PP6lEgNbhXk This talk has created a demand for keynote speeches around the globe. The mission for Janet and Janet’s Planet is to encourage young people to stand in their magnificence and to inspire future generations to use their innate intelli- gence and creativity to create a better future via STEAM…science, technology, en- gineering, art and math. Janet Ivey is a tireless advocate for children and has mentored countless young people all over the world. Janet’s mission has and always will be to enrich the lives of children via art and science, multi-media education and intelligent, infor- mative AWE infused programming that focuses on space exploration and plane- tary science.